In today's fast-paced world, it's tough to find the time to read. But with Joosr guides, you can get the key insights from bestselling non-fiction titles in less than 20 minutes. Whether you want to gain knowledge on the go or find the books you'll love, Joosr's brief and accessible eBook summaries fit into your life. Find out more at joosr.com. It's hard to make big changes in life, and even harder to make them stick. Discover the secret to making lasting changes in every aspect of your life by getting to grips with the psychology behind change. 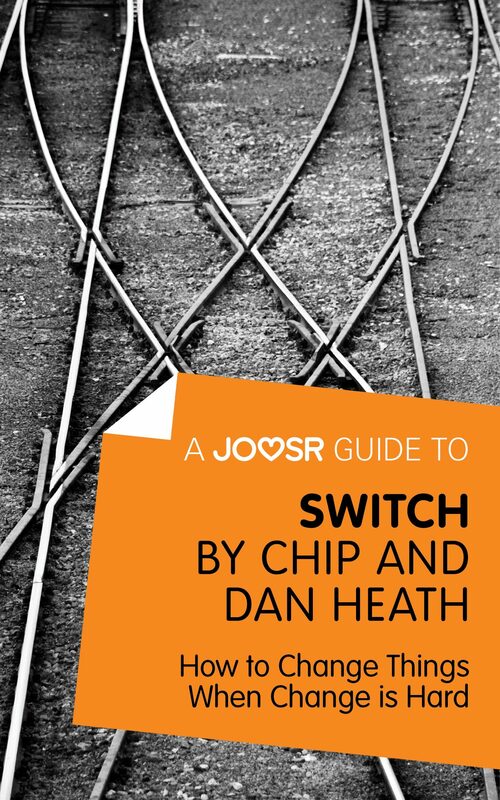 In Switch, Chip and Dan Heath explore the human brain to find out why we find change so challenging. In doing so, they ultimately demonstrate how you can learn to make impactful and long-lasting changes in both your personal and professional life. Humans have two personalities driving them, one emotional and one rational. These personalities don't always agree, particularly when it comes to making a change. By understanding what drives each of these selves, you can make them work together to encourage change in yourself and others. You will learn: · Why it's crucial to identify the things that are working in a situation to help you facilitate change · How engaging the feelings of others will enable you to make large-scale and lasting changes · How to turn change into habit that you or your team will follow without thought or effort. Otros ebooks de CHIP HEATH.